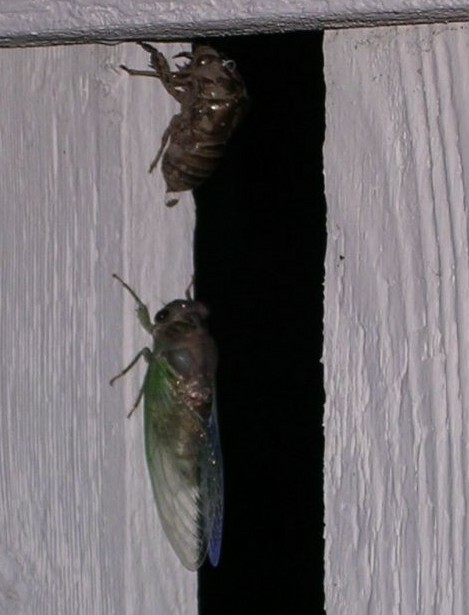 Last night we saw a very strange "bug" on our pool fence in Shrewsbury, MA. 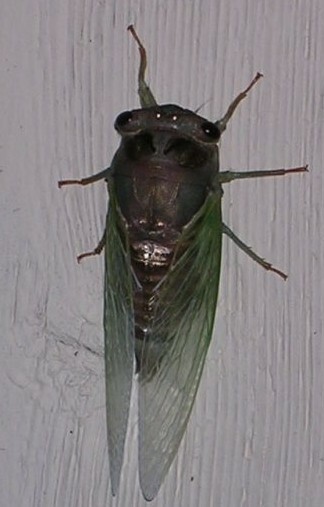 I took some pictures and this morning with a bit of help figured out it is a Cicada. I have never seen one before. I found your site and thought you might be interested in the pictures. What you have there is a female Tibicen lyricen. She is newly emerged you can see the disgarded nymphal shell that she came out of. Females mate with males. Its the males that you hear calling in the trees now. They are singing for females. You are very lucky because most people go through life never seeing these cool insects. Thanks very much for the pictures, I have been getting many reports right now from people all over New England.